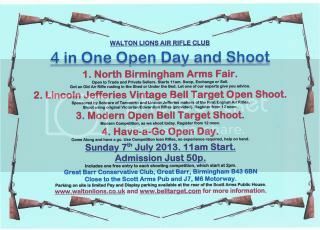 Admission will included One Free entry to each open shoot Competition. 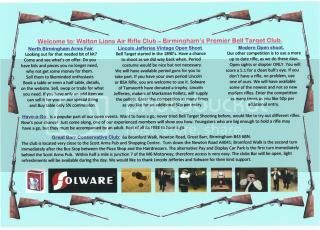 Shooting Competitions Registration from 12 noon. Even the tightest person in the World has to agree that a 50p entry fee that also includes one free entry to each competition is the deal of the decade! We make quite a loss on running the event but its a great advert for the sport. We feel we are ploughing back the money we make at game fairs running demo ranges. One spin off is that it keep us in favour with the club as they do well out of at the bar and thus keep our home secure. Less than a week to go now. Should be a good day.